The renovation will build an addition of 8 new classrooms ( with 200 seats) of permanent capacity (the portables will be removed). Total capacity of school is planned to be 500 students. The school offices will be moved to a central location that will also serve as the main entrance to school (this helps facilitate campus safety). The existing Treehouse will not be changed. The expansion will be attached to the existing Brick building. The construction will take place during the 2018-19 school year. During the 2018-19 school year, QAE will be at the John Marshall building in Ravenna. Busing will be provided from Queen Anne to the interim location. Finally and most importantly: it'll be a great space for our kids to learn, play and grow! QAE Construction Camera and Updates! The expansion at our Boston St. location is in full swing! 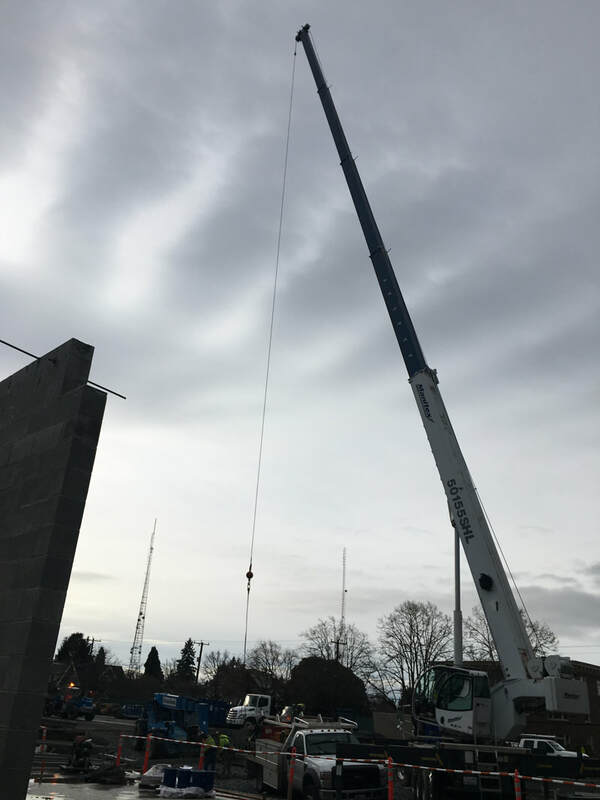 As of January 2019, the walls of our brand new gym are in place along with the expanded classrooms. You can view the progress directly on the QAE Construction Camera site. We'll continue to add photos below as well. You can see the SPS BEX IV updates page for more photos and the latest progress. 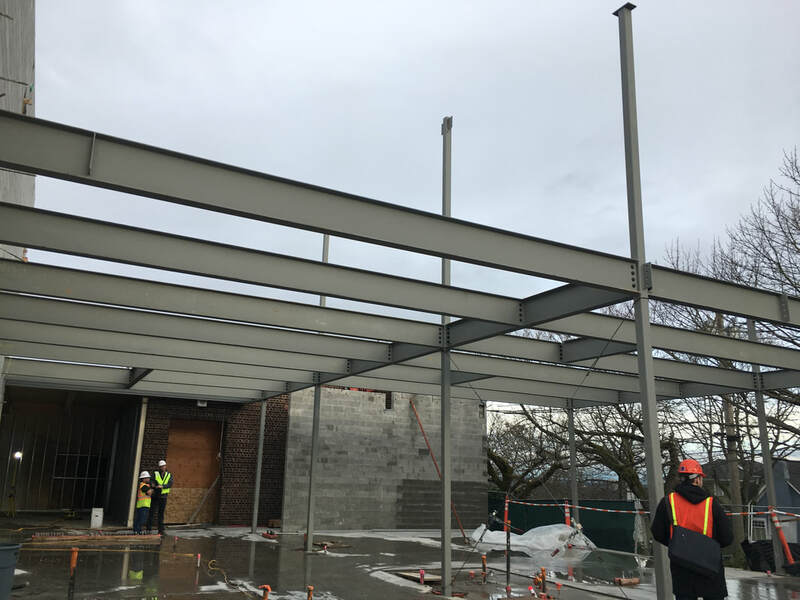 December progress on new Kindergarten classrooms. When is the construction happening? Construction will begin after the 2017-18 school year ends (June 2018). It will take a little over a year to complete. The freshly remodeled Queen Anne Elementary building will reopen for the 2019-20 school year. Where will our school go during the 2018-19 year? Seattle Public Schools has a number of buildings that are used as interim school locations during construction projects. QAE will be at the John Marshall building near Greenlake. The address is 520 NE Ravenna Blvd. All student currently eligible for busing to QAE or within the QAE walk zone will have busing from Queen Anne to 2018-19 location at the Marshall School. What are the school hours during the 2018-19 year? What will the remodeled school look like? Take a look at the presentation documents from the 8th presentation and 9th presentation from School Design Advisory Team's meetings to see some the plans. The plans call for the building addition to be where the current staff parking lots, indoor play area, gym portable and playarea are. 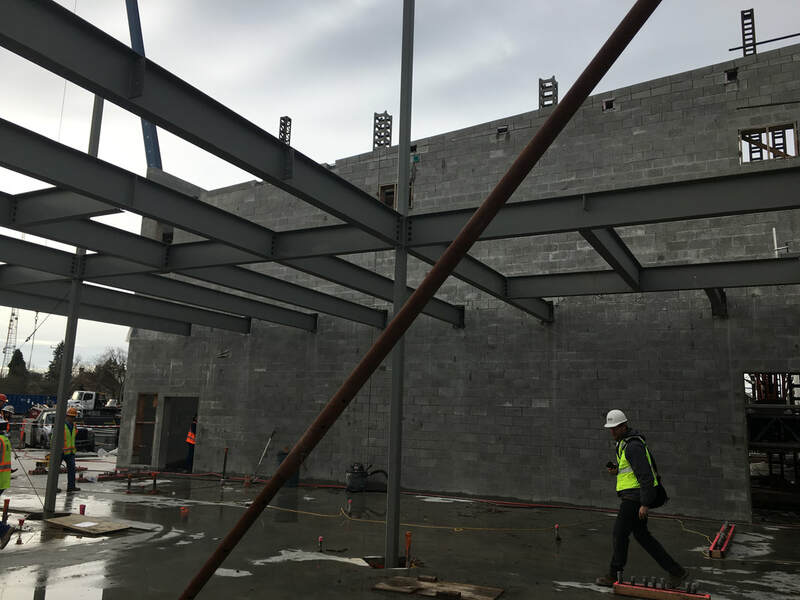 The gym will be at the center of the remodel and will connect to the expanded cafeteria commons area to accommodate whole school assemblies, presentations, theater events, etc. To give some context for how much we'll be expanding: the current Brick Building is 20,707 square feet. The proposed addition, including a roofed outdoor area near the new entrance, is expected to be 22,950 square feet. Does this mean we can actually have a school assembly where everyone fits? It really does! We should able able to accommodate all our students as well as guests without all the kids being on top of each other. What happens to the Brick Building? The addition will be connected to the existing brick building. This will involve removing the existing covered play area and opening up parts of the south wall in the existing cafeteria. Most of the classrooms will remain unchanged though. The office/admin/nurses area will be moved to the west side of the new addition and the existing office will be converted back to a classroom. What happens to the Tree House? There will be no changes to the Tree House as part of the renovation. Who is the architect on this project? 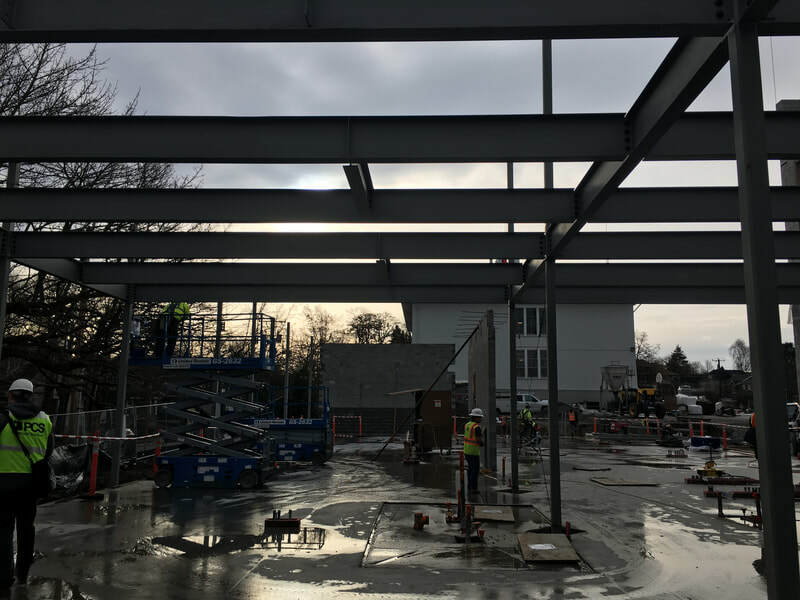 The lead firm is Mahlum Architects who have designed a number of school projects including elementary schools on Bainbridge Island, the renovations of Cleveland and Nathan Hale High Schools and other buildings for schools and colleges. What will happen to the playground structures (slides, etc)? There will be a larger playground area with structures to the north of the Tree House. You can ask our expert PTSA Facilities Director Mark Meuter at facilities1@qaeptsa.org or Principal Janine Roy at jbroy@seattleschools.org.